Killerphp gets a much needed reskin. I just wanted to mention that we just launched the new killerphp.com skin. It had been a few years since we updated the look of the site, so it was about time. In other news – I am still here! Just busy these days with projects, but will be back with new stuff soon. Meanwhile, if you are a programming noob, want to learn PHP or OOP … then check out the free courses. All the new videos will be in HD. All videos are responsive and resizable. Videos can easily be played back at different speeds. Ask questions and make request – we will do our best to answer! All courses are date stamped. The system shows you which videos you’ve started to watch and which you’ve completed. Fullscreen background video with CSS3. Web Programming for 2013 … and Beyond! Web programmers have to keep on their toes – you can’t let yourself fall behind using old technology that nobody is interested in. Flash anyone? 1. PHP is STILL King of the Server Side! The Zend PHP Conference (ZendCon) will be held October 17-20, 2011, in Santa Clara, California. The people at Zendcon graciously asked that I let you know about their upcoming conference. Since I am a big advocate of Zend, I figured why not? The Zend PHP Conference (ZendCon) will be held October 17-20, 2011, at the Convention Center in Santa Clara, California. The conference will include a variety of technical sessions, in-depth tutorials, UnConference sessions and unique networking opportunities. Early Bird prices are available until September 10, so register now for the best prices. Visit www.zendcon.com to look at the sessions, speakers, schedules and to register. I am happy to announce yet another video course for all you nerds out there: Build A Content Management System. OK, not the most exciting title, but still an exciting course for those PHP nerds who want to go from PHP basics and get into building a full-fledged PHP application from scratch. Learn how to build a content management system that provides a website all the tools needed to allow basic web users to manage the website content with ease. Over 6.5 hours of tutorials, with over 41 videos! This course is aimed at intermediate level web developers, demonstrating how to build a basic PHP based content management system that uses object oriented programming techniques and implements the MVC pattern. New PHP course on building a CMS is out! 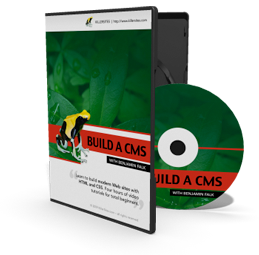 – we have a new course: New PHP course: Build a Content Management System. 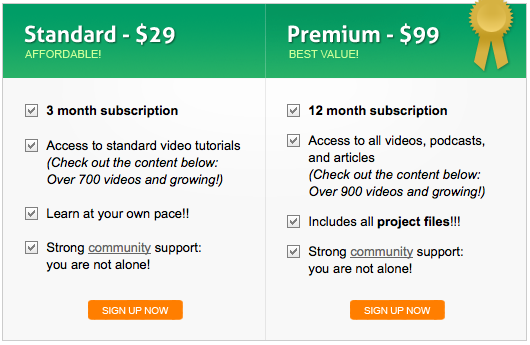 PHP Video Blog – Worried About Outsourcing? In this video blog, Stefan talks about outsourcing and how small business web development is the key to financial safety these days. For our Complete PHP Programmer Package or more courses on PHP, check out our Killersites Video Tutorial Library. In this video, Stefan gives you a tour of the Killersites Video Store with some tips on how to choose the right courses/packages for your web design and programming needs. Learn Web Development as you Game! PHP, SQL, HTML5 and more. Studioweb: Teach PHP, SQL, HTML5 and CSS3 easily. My PHP newsletter will let you know when any new articles, tutorials and videos on PHP are released.